Do you have a Yamaha Keyboard related question? Ask it here! 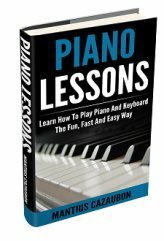 Please note: New Yamaha keyboard related questions go here and not below. However, you can still answer and comment on the various questions already posted on this page. Thanks a lot. I have added a new page due to the fact that this one has gotten too long. It's been an overwhelming success! 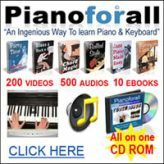 By the way, in case you came here to shop, here's where you can get good Yamaha Keyboard Deals. Have Any Yamaha Keyboards Related Thoughts For Discussion? I have recorded songs on the keyboard, but i cant figure out how to delete them? can you help please. I have yamaha psr 620 keyboard it requires some repair i dont know any authorised center for repair in INDIA. Does anybody know if there is DGX-505 USB Driver for Windows Vista? Thanks. Can you record a song you play on the Yamaha ypt-210 and play it back? If no pedal is connected to the P200, do the notes sustain or release after a key is released? Yamaha YPT 200 with Reason? Does the Yamaha YPT 200 work with Reason software? Is there a cheaper alternative? How much cost The Yamaha-psr292 and where can I find it? I lost my Driver Cd. please can I Download it from somewhere?